INDIANAPOLIS — Even though the defensive backs will still be working out Monday, media availability for the NFL Scouting Combine is now complete. Of the 330 prospects that were on hand for the event, 66 of them were from the SEC — more than any other conference. Additionally, mock drafts suggest that the league will positively own Round 1 once the last weekend in April arrives. For the most part, the big names justified their status as premier players worthy of taking their talent to the next level. 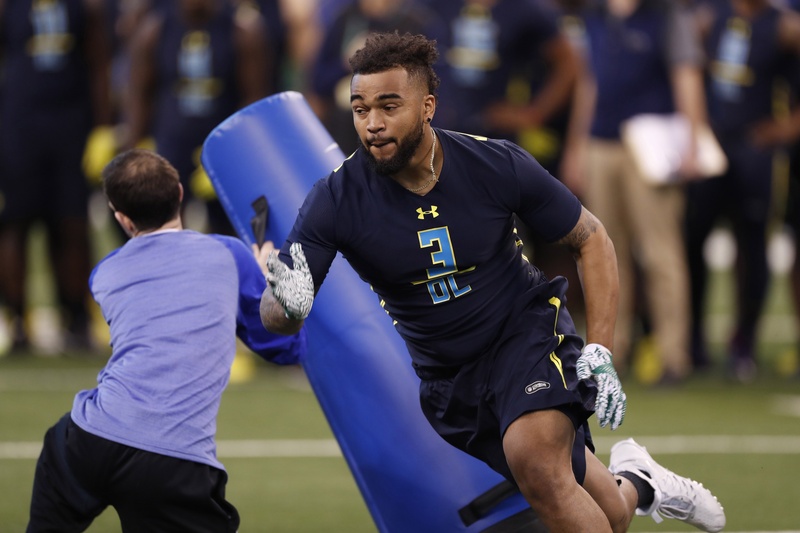 Others — a certain linebacker from Alabama comes to mind — didn’t take advantage of their time in Indy and either struggled with testing, were red-flagged in medicals or failed to impress during interviews. While the combine is only a piece of the draft puzzle, it’s an important one. Anybody can show out at a Pro Day since there’s a certain home-field advantage at play. But the neutral-site nature of Lucas Oil Stadium is unique. Based on what I saw, heard and experienced first-hand in Naptown, here is my list of winners and losers from the SEC. 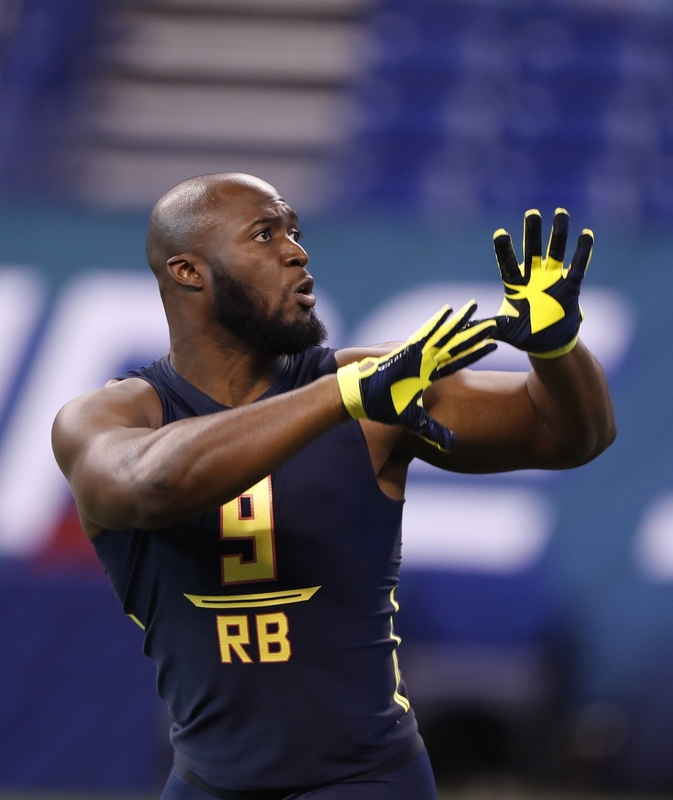 It came as a bit of a shock on Day 1 when Fournette tipped the scales at 240 pounds, which made him the heaviest ball carrier invited. While he told reporters it was nothing more than some extra water weight and that he’s usually around 235, the focus on his upcoming 40-yard dash scheduled for Day 2 greatly intensified. Fournette responded with a time of 4.51 seconds, which is incredibly fast at that weight. His draft stock is quite secure. Arguably the No. 1 linebacker available in the draft, Foster wasn’t going to participate in the on-field workouts since he was recovering from surgery. But the headline of the event was the former Crimson Tider getting into an altercation with a medical staffer and being sent home from the event by the NFL a few days early. Foster shot a live video on Instragram shortly thereafter and came off as totally tone-deaf. A subsequent apology was clearly crafted by his agent. Showing up at 6-foot-4 and 272 pounds, Garrett’s measurable strength and speed was on par with what his game tape suggests. First he put up 33 reps on the bench press at 225 pounds, and then he ran the 40-yard dash in 4.64 seconds. Even if his running style was somewhat awkward, he got from Point A to Point B in a hurry. Garrett even “apologized” to the Cleveland Browns for saying previously that he hoped the Dallas Cowboys would trade up for the No. 1 pick. Overshadowed by the likes of the aforementioned Garrett and Jonathan Allen of Alabama, Barnett may have been the most consistent pass rusher in the SEC last year. Unfortunately, he came down with a virus and had to skip out on Saturday’s bench press. He tried to give it a go in drills Sunday, but he wasn’t himself. Luckily for Barnett, he has lots of time to recover before Pro Day on March 31 in Knoxville. Scouts will be anxious to see him at full strength. A guard during his time in Baton Rouge, Pocic is viewed as a center at the next level. He did a lot of snapping at the Senior Bowl in January, so he’s already showing to be versatile along the line. At the combine, he was more athletic than expected both in the 40-yard dash (5.15) and many of the other standardized tests. While the league is having a hard time finding quality tackle prospects, Pocic is among the many fine potential draftees between the bookends. This year’s crop of tight ends is shaping up to be a memorable one, highlighted by SEC studs like O.J. Howard of Alabama and Evan Engram of Ole Miss. However, while those two were running like deer Saturday, Sprinkle’s performance was rather pedestrian. Tight ends are more freakish than ever, but he’s simply not built that way. There’s room in the NFL for a more traditional hand-in-the-dirt tight end like Sprinkle, yet he doesn’t offer any of Howard’s or Engram’s flexibility. We knew going into the combine that it wasn’t a strong class of quarterbacks. The throwing drills Saturday hammered home that notion immediately, as the possible first-round picks didn’t separate themselves from the others. Dobbs actually threw the ball pretty well and proved that he’s not too far behind the top passers. It’s safe to assume that Dobbs knocked the socks off every coach and GM during interviews. He seems to be trending in the right direction. Because he’s such a demon off the edge on film, a lot of scouts expected Williams to test through the roof Sunday. That wasn’t really the case, though. His 40-yard dash time of 4.68 seconds didn’t stand out, plus he wasn’t overly fluid doing the various positional drills. He didn’t bother to do the bench press, either. The buzz on Williams at the Indiana Convention Center was about him being a suspension waiting to happen based on his prior “recreational activities,” too. No trip to the combine is complete without dinner at St. Elmo, one of the country’s best old-school steakhouses. The signature item there is shrimp cocktail, which is served with a sauce so full of horseradish that it’s been known to burn nasal hair on contact. Even though I’ve enjoyed it a dozen times in the past, it really got me this year. Yes, I was that guy coughing up a storm because my taste buds were overcome by the heat. St. Elmo’s shrimp cocktail remains undefeated. Lawson tested very well. He didn’t measure well, though. There aren’t a lot of 6-2 defensive ends that are effective in the NFL. Because the passing game is quicker than ever, being able to bat down passes at the line of scrimmage is crucial. That’s easier for 6-5 guys. Engram was electric, no question. It’s a deep class of tight ends, though. As a result, some teams will sit and back wait knowing they can get a good one later. I thought Myles was for sure 6’6. My I.d. says 5’9 but I’m feeling more like 5 foot even now. Evan Engram and Carl Lawson are only dropping because of height id assume. Dae Dae is the 6’6 end. Ethan Pocic’s primary position at LSU was center, not guard. Pocic was the starting center at LSU these past two seasons. He played minimally at guard. I understand how Foster can be a loser in the category but I don’t think it will hurt his draft status to much. Still dumb I get it. Fournette checks all the marks. Williams, like Foster will still get drafted high. Again, I get it but some of these GM/scouts don’t care about that stuff. Myles Garrett. Enough said! Fournette came in as a loser at 240 lbs. Then people realized that he could tote that extra 5 lbs just as fast. You almost understand why the Auburn DBs (Rudy Ford in paticular) were scared of him and decided to make business decisions. So how is Barnett a loser because he was sick. He was the most productive in the SEC. He will be a huge get for anyone. He got most of his sacks against SEC foes unlike Garrett. He’s a loser figuratively in terms of getting very little out of the combine due to the illness. Nobody suggested he was a literal loser. Lighten up, Francis. Ill disagree with that, besides the bench press, he did really well, considering he had a bad illness the previous day. The fact that he was out there and perfermed rather well is telling that he has a lot of heart. Sutton is the bigger loser considering how deep this corner class is and his pedestrian combine #s.
Sutton is coming off a long injury and had minimal playing time this year. Every team knows that. And they recognize that his numbers are hampered as a result. I don’t think it will affect his stock at all. The injury already ruined his stock. These numbers aren’t going to make it any worse. Ethan Pocic started fours years a center! He very rarely played guard, although he started one game this past season at left tackle when KJ Malone went down with an injury. I think his ability to play all five positions on the O-line should increase his value to an NFL team. Please take a hike. Declaring Reuben Foster and Tim Williams losers is beyond stupid. Their performances on the field speak for themselves. I’m not a Bama fan, in fact, like every good UT fan I hate them. That being said I have to agree. Why not look totally idiotic and throw Jonathan Allen in there too! Nobody is saying they’re losers. They “lost” the combine for not performing particularly well for various reasons. Most people understood that, at least.